As we knew that many children are not lucky for education because of different reasons such as being a poor, lack of capacity, loosing families because different things war, sickness HIV/AIDS can be mentioned as an example. 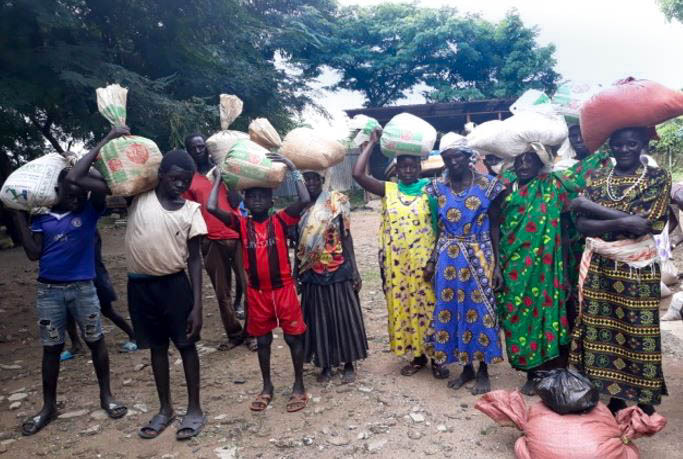 We discovered that in the villages of Akwaya Jowk where there are eight villages with the total inhabitant of 7500 people, from the total population around 75% of the household are under 45 years of age, and most of these are women and children . An estimated of 95% of the population are illiterate, and many people are infected with HIV/AIDS due to the poor access to basic education and health . There are children who are not going to school because the families are unable to afford food , school materials and clothing . 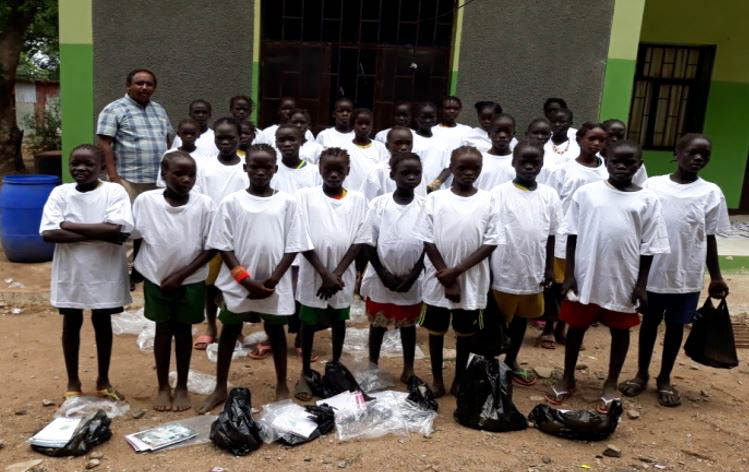 Akwaya Jowk Catholic Mission is undertaking to help the children from different small sources in order to prolong their life and to give them a hope through education . Even though it is, the mission still could see the necessity of additional help to accomplish its goal perfectly. There is no any means in the villages to support these kind of children beside the Church who are trying to reach some generous people and organization like that of PBF . The children also need to be feed if not they spend their time in looking for roots in the forest and fishing in the river bank . 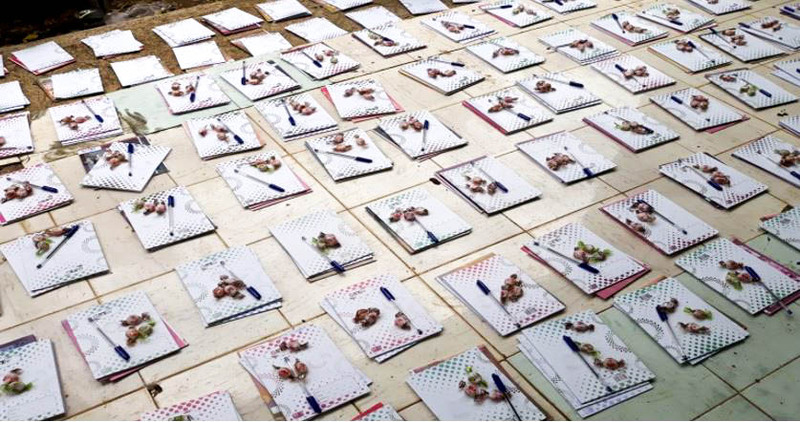 The feeding program of the children gave time for education. Children in the villages are the victim of any kind of desease which existed in the villages becuase they are not getting enough food and many of them are malinutrution children .The PBF feeding program saved many children and decrease the number of children who are suffering with malinutrution and going to the hospital. 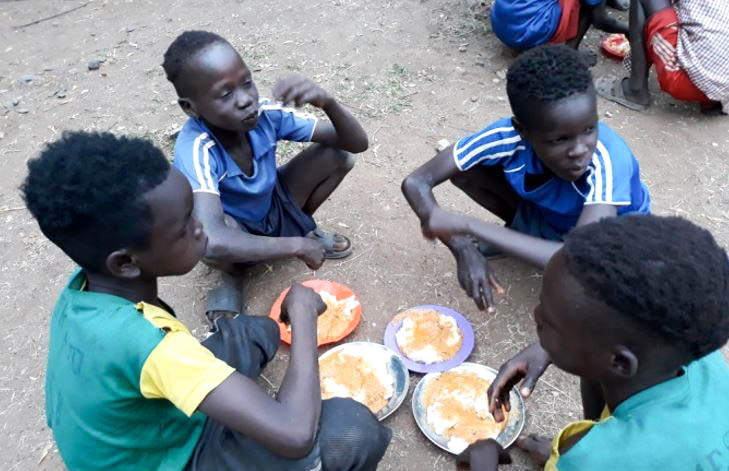 Children were provided everyday with enough food.The feeding program is organized in the compound of the church inorder to avoide waste of food. Many old people want to have food like the children. 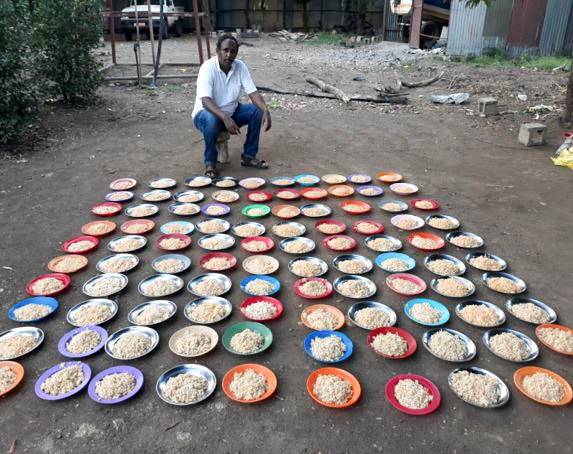 Therefore, the feeding program was held in the proper and good mannner of the community. After saving the life of a child the next program is to involve them in education because only to feed is not a soulation for the future of a child . Education is a key to bring a change in the community because we can see many bad culture in the villages for example the education of a girl is waste of time and girls can have hasbund before their age /early marriage/. 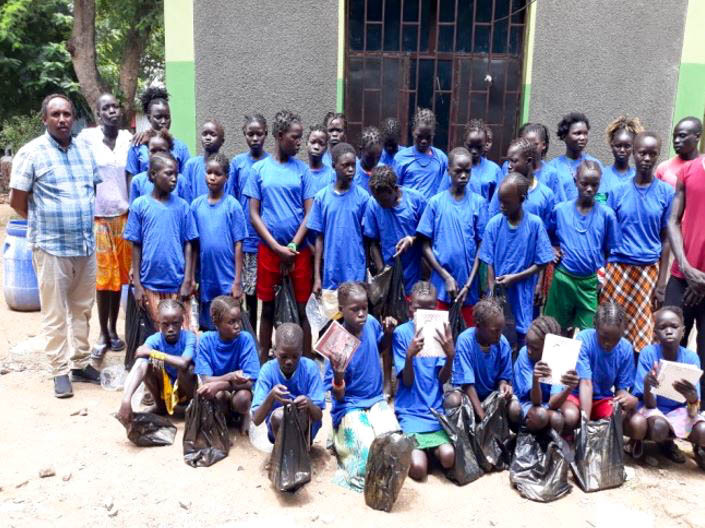 The children were given a chance of education by providing school materials,food and clothes and it is encouraging. Since we provide the food they stop to go looking a root and fisihing in the river because the life of the parents depends on fishing and living with the roots from the forest. The budget allocated for the feeding program is 10’000 USD . Accordingly out of the request from PBF 9’000 USD and 1’000 USD was a local contribution and all the money from PBF remitted to our account and used for the implemention properly . The object of this proposal sucessfully implemnted in these five villages. In the five villages there are 7’500 people are living. Out of these in the year 2017/2018 from five villages 750 children benfited from this project. – Keeping the health of children . 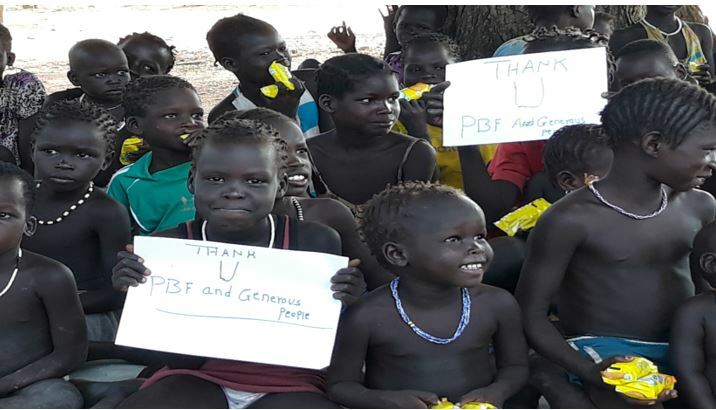 Finally I would like to say thank you PBF and the generous people who supported the poor children to prolong thier life in having food and getting chance for education . We assure you our prayer with all the children .